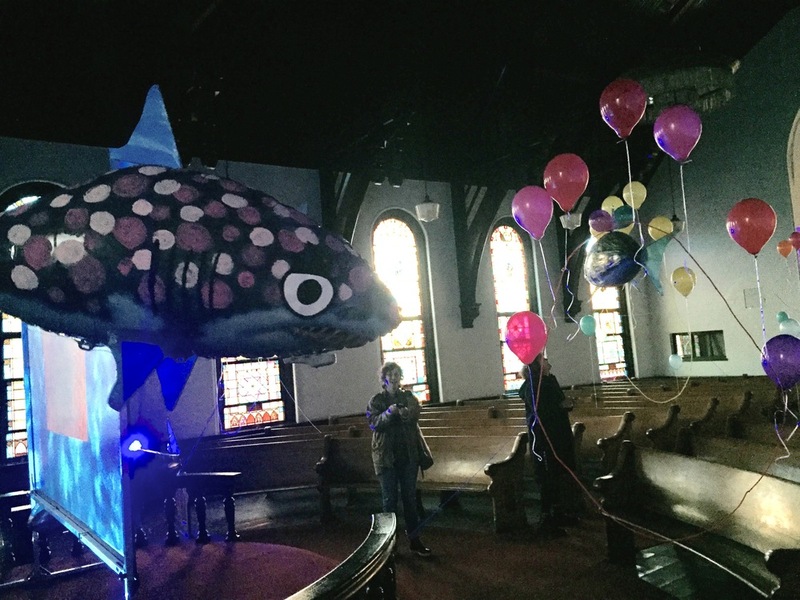 Shark N Hoop is an interactive installation first installed at the Neu Kirche Contemporary Art Centre in Pittsburgh for "Service", a Sunday night art series. The large space of the former chapel was converted into a dry aquarium. Blue water effects were projected around the room and calming music played throughout the space. 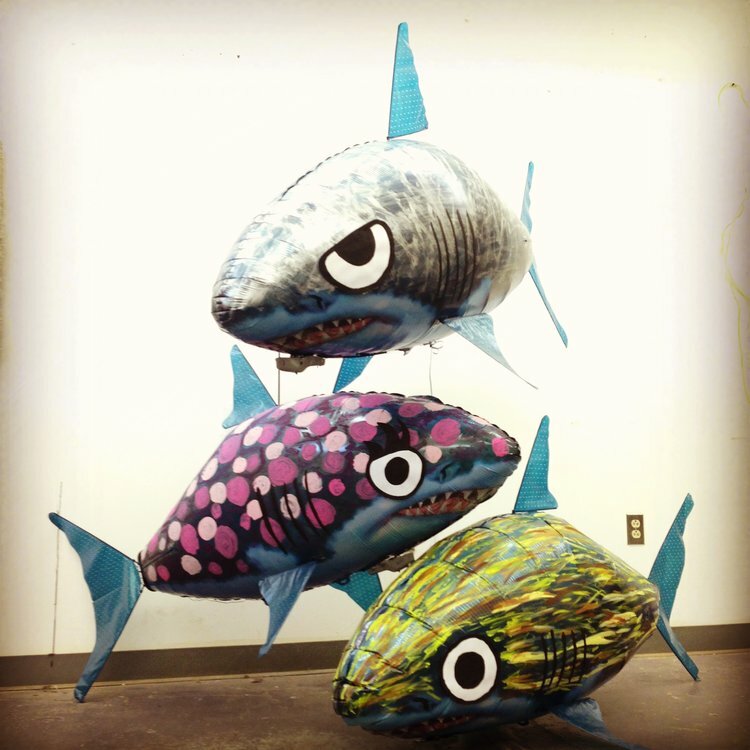 Players had the option to use one of three helium-filled, remote controlled sharks, Max, Bloody Boop or Zippy. using the remote control to maneuver their chosen shark, players could try to fly through one of the four floating hoops that could be found in the space. With no specific game goal, the emphasis was on encouraging emergent gameplay. The game has since been installed at the Children's Museum of Pittsburgh as part of MAKEnight.